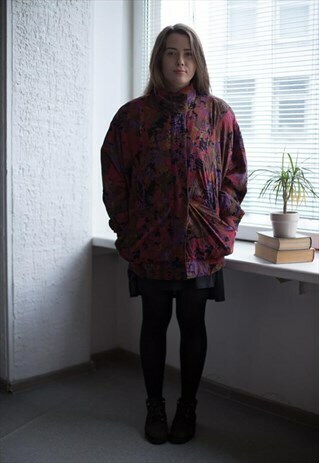 Fantastic vintage 80's multicolor abstract print jacket with hidden buttins and two pockets on the front. Perfect for spring. Uk size ot written but looks flexible like 12-14. Model size on the photo is 10-12. Measurements: length 30.5 inches, sleeves 24 inches, chest 52 inches, waist 50 inches, hips 48 inches.